On February 12, the entire nation will honor one of the greatest presidents in the history of the USA, Abraham Lincoln. Personally, I cannot ignore this date partially because my name is also Abraham and partially because I have always been fascinated by the achievements of this outstanding American leader. Due to the fact that I am obsessed with nonprofit world, it is a good idea to take several examples from Abraham Lincoln’s life to help your nonprofit. Although Abraham Lincoln had only a year and a half of formal education, it did not prevent him from becoming one of the most important figures in the US history. He managed to fill the gaps in education by learning from experience, books and people, whom he met in his life. As a nonprofit expert, you cannot be satisfied with your current level of knowledge. In attempt to push your nonprofit, you are constantly looking for fresh ideas, methods and trends. If you want to keep your nonprofit up-to-date, there is always a need to search for improvements. Abraham Lincoln was a perfect storyteller. Every time he tried to explain something, he used a story as an example. His stories were always humorous, entertaining and instructive. As a nonprofit, you are also looking for different ways to make your stories more impactful. Thus, it is necessary never to stop searching for new stories that may be used to illustrate your mission. When Abraham Lincoln became a president, he started to work with people who were his open rivals. Instead of perceiving this as a drawback, Lincoln took the advantage of the situation because he knew that he was surrounded by people who could freely criticize his decisions and oppose to them. When you are choosing your team, focus on people who may give you honest opinions and are not afraid to share their thoughts. If you want to reach a constructive dialogue with your colleagues, choose people from different backgrounds. 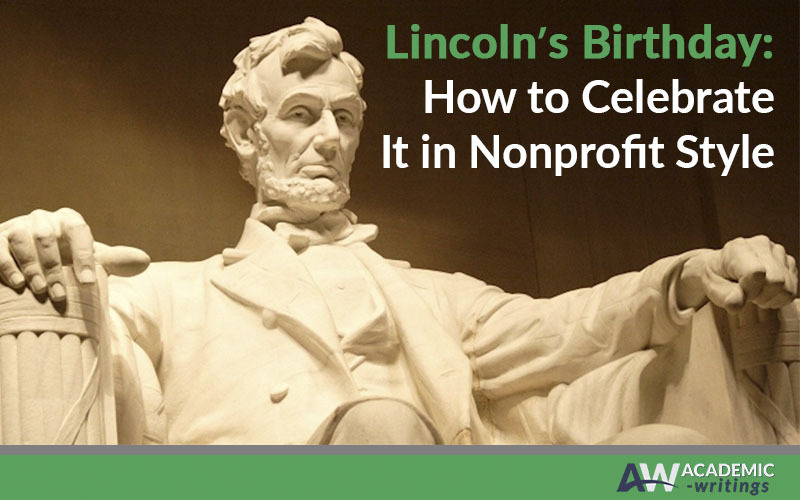 These were only a few examples from Abe Lincoln’s life that will help your nonprofit to achieve significant success. However, if you want to know more, the president’s birthday will be a good occasion to find out more about his personality and learn from his experience. On the other hand, do not forget that it is also a holiday. So, celebrate it with pleasure!